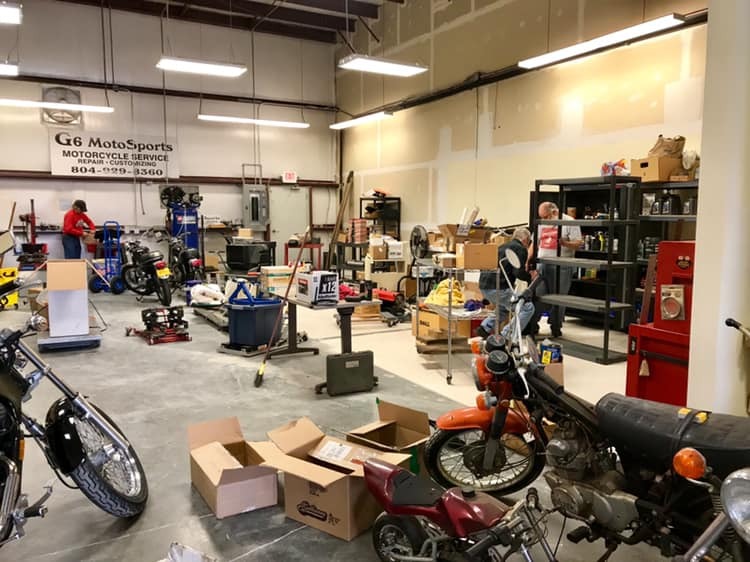 We have moved everything to the new facility, but have yet to get the shop set up. Hopefully we will open for business sometime this week. 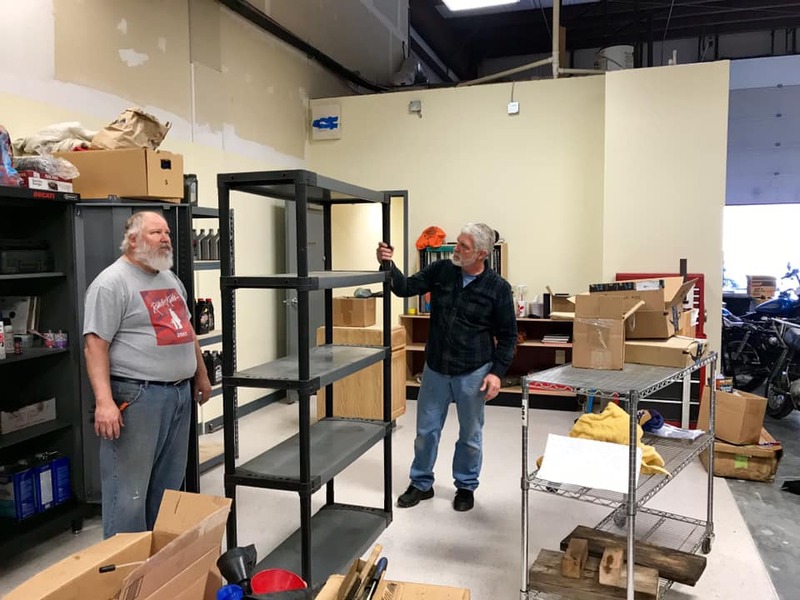 We are celebrating our sixth anniversary by unpacking and organizing our equipment and tools!! A huge thank you to all our friends who have lent a helping hand!! We got the bikes loaded up and the spares packed in the borrowed “church bus”!! Anybody have a portable AC unit we can borrow? It’s supposed to be a sticky 88 degrees tomorrow, but Tropical Storm Karen is giving us a reprieve from her rain and wind until Monday, which is definitely our silver lining. Looking forward to an enjoyable time with my friends at VBMC and all the folks who venture out to see the British livery old and new!! Two Norton’s and a Trumpet! 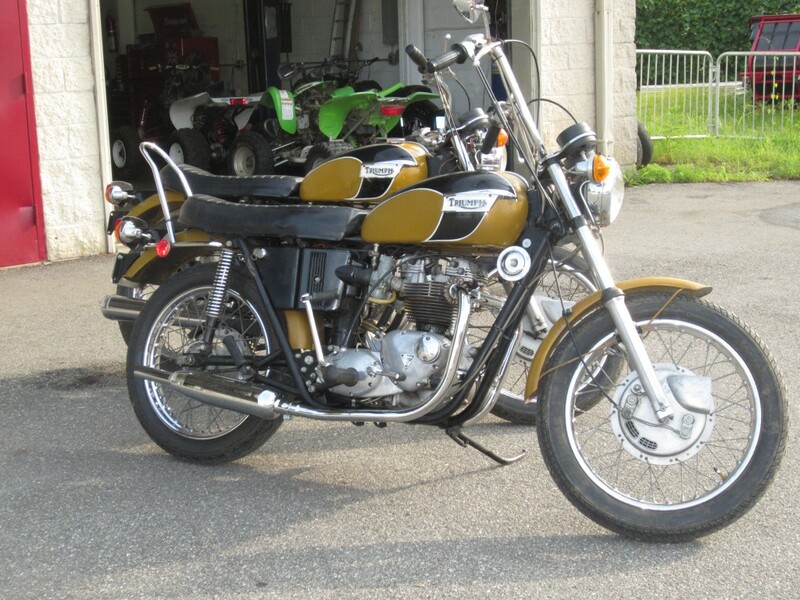 How often do you see two unmolested (mostly) 42 year old motorcycles? The one with the factory American version handlebars belongs to the shop, the other to a hip, young dude who wants to sport a classic British scoot. I think it’s awesome how things retro are becoming chic again!! Here’s hoping the trend continues to grow in popularity without driving the value of these sweet old bikes beyond reason.